Original screen shot taken today from Google.com without editing! 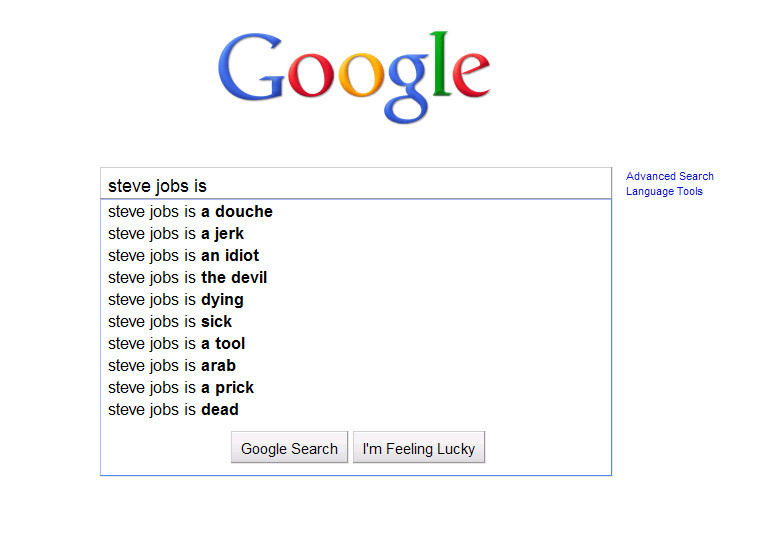 Perhaps this is why he spouts off about Google at every opportunity! !